You may be biding your time today or preserving your energy in preparation for something ahead. Or you could be trying to find your center in the midst of whatever turbulence surrounds you. Whatever it is that you’re resting up for today, know that the transition from immobility to action will be made all the more harmonious by your understanding of the importance of each. 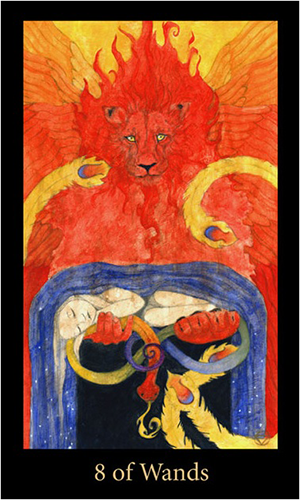 Today’s tarotscope — Eight of Wands — is part of the Mary-el Tarot series by Marie White, published by Schiffer Publishing.